The Office of the Prosecuting Attorney was established by the Indiana Constitution. 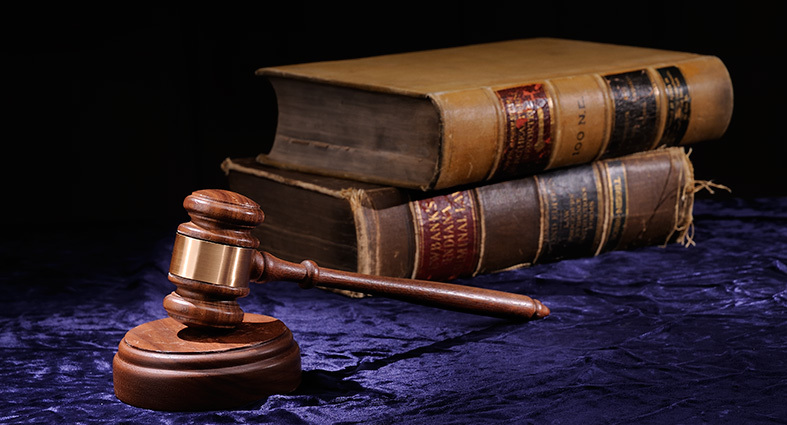 Although commonly referred to as county prosecuting attorney, the prosecuting attorney is a state official exercising authority through the judicial branch of Indiana state government. The jurisdiction of the prosecuting attorney is known as a judicial circuit and Elkhart County is Indiana’s 34th Judicial Circuit. The prosecuting attorney is elected by voters of the county. In Elkhart County the Circuit Court clerk maintains the county voter records, which go back to 1890. Initially, county prosecutors were elected every two years, and served in a part-time capacity while engaging in the private practice of law. In 1952, the term of the prosecuting attorney was increased from two to four years by constitutional amendment. The first four-year term for prosecuting attorney was served by Jerome K. Burke, Republican (1953-1957). Elkhart County’s longest serving prosecuting attorney was Michael A. Cosentino, Republican, who served 28 years (1975-2002). Cosentino’s predecessor, C. Whitney Slabaugh, Republican, was the next longest serving prosecutor at 17 years (1958-1974). Until January 1, 2003, the Office of the Prosecuting Attorney for Elkhart County was a part-time office with lawyers serving as deputy prosecuting attorneys operating from their private law practice facilities. During the campaign of 2002, then candidate for prosecuting attorney, Curtis T. Hill, Jr., devised a plan to centralize prosecution services. On January 1, 2003, the new centralized Office of the Prosecuting Attorney opened at 301 S. Main St., Suite 100, Elkhart, Indiana, consolidating all prosecuting attorney services under one roof for the first time. Below please find a listing of the individuals who have served Elkhart County in the capacity of prosecuting attorney for the 34th Judicial Circuit.